Submitted by peter on 21 March, 2011 - 04:39. 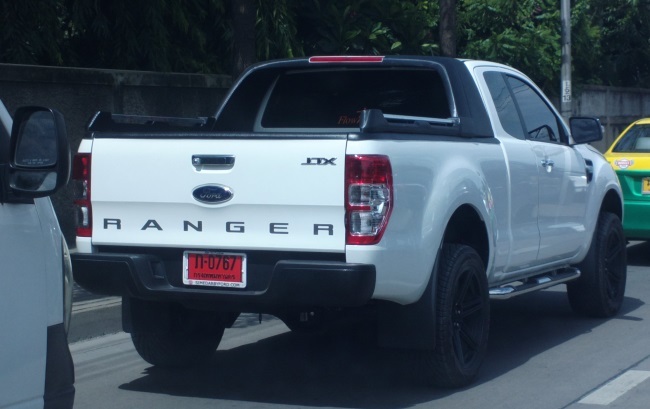 Thailand still awaits the arrival of the all new 2012 Ford Ranger. While we wait, we can get used to the new design, since it has already been unveiled. The following video gives a flavour of the Wildtrak version, and I think you'll agree that it's tasty. Submitted by peter on 15 October, 2010 - 06:23. Ford has taken the wraps off its all-new 2012 Ranger at the Australian International Motor Show. The truck was developed at Ford's facility in Melbourne, Australia, and shares its platform with the all-new Mazda BT-50. Both models should be arriving in Thailand next year, and both will be built at the Ford/Mazda facility in Rayong, Thailand. For this post I'm going to focus on the details for the Ford Ranger, and although the BT-50 will most likely have a few unique tricks, the majority of details are shared between the two sisters. Just to take a moment to comment on the obvious difference between the two, which is in the looks department. Ford's new Ranger is handsome looking and has stuck to a tried and tested truck look which clearly doesn't take any chances. With the BT-50, Mazda have clearly taken a few chances, and the result is something you will probably either love or hate it. I know I have no love for it at all! Submitted by peter on 5 December, 2008 - 15:53. Thai-built pickup trucks continue to take a beating in the Euro NCAP. 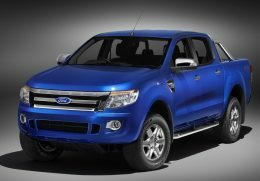 The Ford Ranger was the latest to be subjected to NCAP safety tests in Europe, and the restuts are not pretty. Take a Nissan and make it ugly.